Ahh, music festivals. A time for good music, outrageous outfits, and the inescapable fumes that could rival a frat house at 2 A.M. all for the small price of at least a hundred dollars. If you’ve ever been to a music festival, then you know that it’s not as simple as buying your ticket and showing up. There’s a lot of planning and preparation that goes into actually being able to enjoy your time at a music festival. And I would know, because I messed up in almost every way possible when I went to the Bunbury Music Festival and just barely survived the experience. I don’t want that to happen to you, dear reader. So, learn from my mistakes and read on to see how to survive going to a music festival. Make sure you can afford the tickets. If you’re kind of thinking about going to a music festival, then do some research. Make sure you’re a fan of at least a handful of performers. Look at your bank account and decide if it will be worth starving for. And, for the love of God, don’t wait until the last second to get your ticket because they will most definitely sell out. This is the best part. Plan your outfit(s). Look at the weather forecast to see if it will be hotter than Satan’s kitchen or if it will be raining profusely while also being hotter than Satan’s kitchen and arrange your outfit accordingly. Also, wear something you’ll be comfortable. And do not, I repeat do not, wear shoes that are a size too small because your feet will literally never forgive you. Find your sleeping arrangements. Whether it be in a tent or at a hotel, have something planned out so that you won’t end up having to sleep on the ground using a map of the festival as a blanket. And if you’re gonna try to stay at a hotel: book it early. Because, once again, they will probably sell out. Get to your hotel or whatever, get dressed, use the bathroom, and get an Uber. Even if you’re familiar with the city you’re at, still get the Uber because it will be so much cheaper than the obscene price for parking. Also, if you’re planning on drinking, you should definitely make sure that you are unable to get behind the wheel of a car. You’ve made it! Make sure you stay with a friend at all times. Go to the concerts you want to see. Take part in the food trucks that are there. Buy yourself something horribly overpriced to remember the day by. Oh, and be prepared to sweat. A lot. If you want a great seat to a headliner, get there early. Like, if you were to go see Post Malone, for example, don’t wait until thirty minutes before he’s set to start. Or else you’ll probably get stuck behind that one girl with no respect who has to get on her man’s shoulders and block everyone’s view of the show. Schedule your ride home early. Just in the off chance that all of cell service crashes and you find yourself sitting aimlessly in the busy city streets calling your mom in a state of panic because you cannot find a ride home. Also, bring pepper spray, because you might have to find yourself having to scare off a creepy guy who keeps staring at you. Get in your Uber. Enjoy the adrenaline rush that comes from watching the concert. Ignore the horrible smell that has clung to your clothes thanks to the guy who vaped like a freight train right beside you. And have a nice life chat with your Uber who is just trying to pay his way through med school and is oddly very motivational. Congratulations! You survived (barely)! Reward yourself with some midnight pizza and look through the obscene amounts of photos and videos you took. I hope you enjoyed this! I’m planning on making this into a ‘How To Survive’ series with all different types of scenarios. Comment below if you’ve ever had a failed experience with something that was supposed to be epic. Also, be sure to like and follow. And, as always, stay rad! Love your pics, I’ll bet you had fun! You’re right about the shoes, feet swell! The shoes were a definite mistake! Thanks for the comment! Great tips for all those new festival-goers! I haven’t ever been to a festival, they’re not really my thing and the crowds would send me into a complete tizzy! This is amazing… Even though I am not going to a festival anytime soon but it was a fun read. 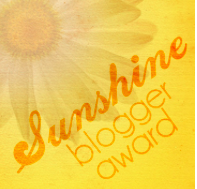 I have nominated you for the Mystery Blogger Award…. You’re too kind to me! I’ll check it out! Thank you! The best part is going through all of that to achieving midnight pizza! Cheers to many more festival moments! The pizza at the end makes it all worth it. Hey I’ve nominated you for mystery blogger award. Do check it out. Thank you love! I will! Thank you! I definitely am going to make this into a series! Yes! Get some tickets and treat your self! Step 10 is the best 🙂 I love the idea of the ‘How To Survive’ series!